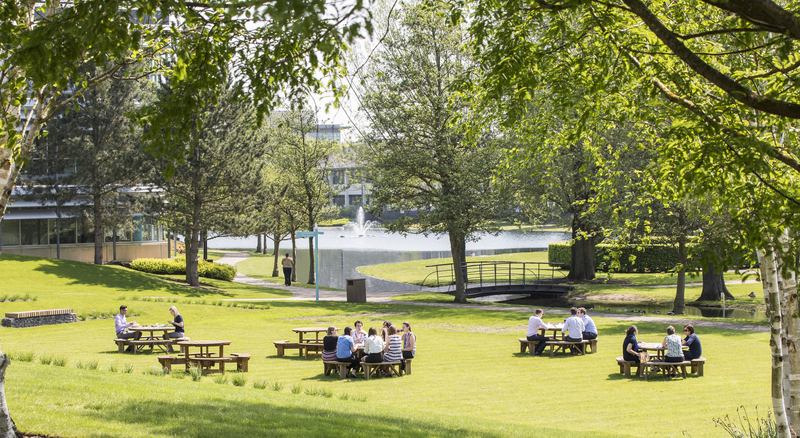 Arlington Business Park’s lake is surrounded by a range of amenities; from a floating pavilion to a cafe, a gym to a theatre-style landscaped space known affectionately as ‘The Bowl’ – holding events throughout the year – a table tennis table and Arlington’s own beehives. A brand new pavilion on the lake strengthens Arlington’s commitment to its community. The Pavilion is a shared meeting, party and conference space that pushes the boundaries of conventional working environments. A bridge leads to a state-of-the-art pavilion that’s built on the lake. With floor-to-ceiling windows on all four sides, retractable doors on three sides and an outside terrace, it brings the best of the Park’s gardens into a work place. To book a meeting in the Floating Pavilion, click here. To take a look around the park, click here. 60% of millennials find working remotely from a public space, such as a coffee shop or the park, appealing, compared to just 26% of baby boomers. Our on-site café, offers more than just food and drink. We have a library, lounge, football table, selection of board games, meeting room and beautiful outdoor terrace overlooking the lake. 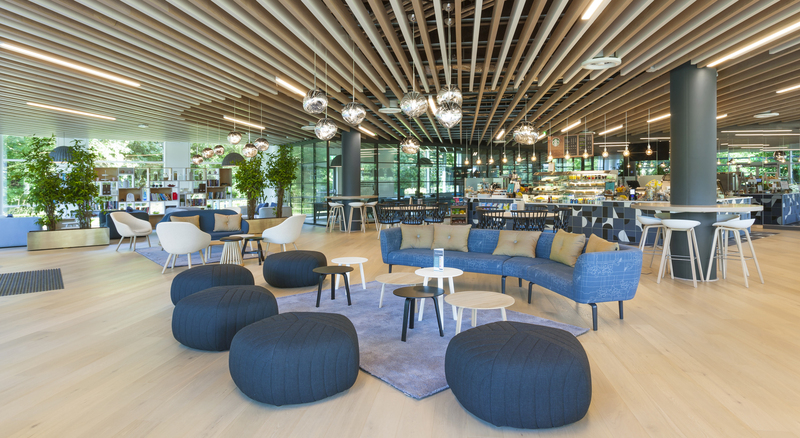 Having the choice of working at a desk or in the on-site café gives employees the freedom to work and think creatively, either in the Lake Lounge, at one of the tables, on the sofas or on the terrace. It also makes an idyllic location for informal meetings, lunches and events. To book a room click here. Modern gym facilities and classes for everyone. With the convenience of being right on your office’s doorstep, Arlington’s on-site gym means employees can work out when it suits them – before, during or after work – without wasting their precious free time travelling to and from a different location to exercise. 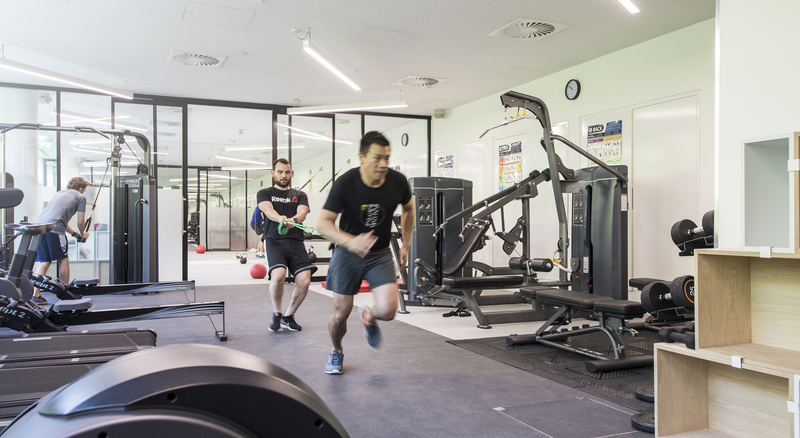 The gym is well-equipped with state-of-the-art weight training, running machines, bikes and cardio equipment and offers group classes as well as private training – all bookable via the website. Clean and modern shower facilities also make it easier to take part at any time of the day, and to feel ready to take on a day’s work. Book your session here. For more information on the gym facilities, class timetable and prices, click here. 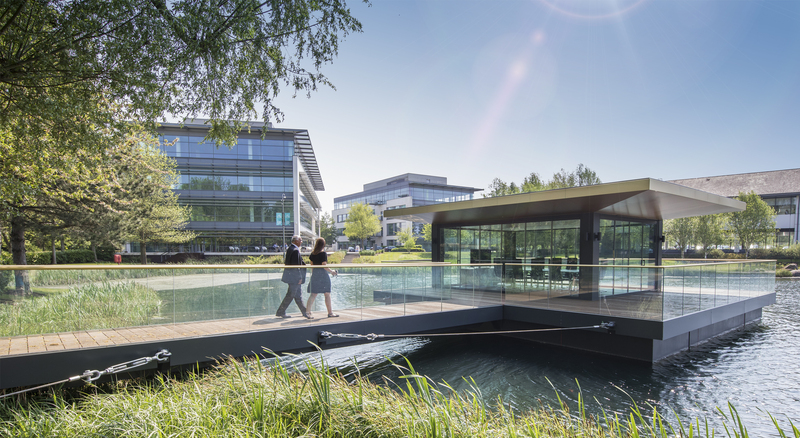 For when you need to clear your head before a meeting, take a breather before a conference call or enjoy a walk on your break, Arlington has the space to do that right on your office’s doorstep. Stay connected with WiFi in the Park if you want to take a meeting outside and work in the sunshine. Or disconnect completely with a game of table-tennis on our outdoor table, join our Step Jockey programme or just relax in the great outdoors. To take a look around, click here. Initiatives to attract local wildlife, including the Park’s own beehives, are in place and diverse gardens have been planted to allow native plants and trees to thrive.